It is necessary to be in subjection [to the government], not only because of wrath, but also for conscience’ sake. For because of this you also pay taxes, for rulers are servants of God, devoting themselves to this very thing. Render to all what is due them: tax to whom tax is due . . . (Romans 13:5-7). “. . . Is it lawful to give a poll-tax to Caesar, or not?” But Jesus perceived their malice, and said, “Why are you testing Me, you hypocrites? Show Me the coin used for the poll-tax.” And they brought Him a denarius. And He said to them, “Whose likeness and inscription is this?” They said to Him, “Caesar’s.” Then He said to them, “Then render to Caesar the things that are Caesar’s and to God the things that are God’s” (Matthew 22:17-21). “. . . Is it lawful to pay a poll-tax to Caesar, or not? Shall we pay, or shall we not pay?” But He, knowing their hypocrisy, said to them, “Why are you testing Me? Bring Me a denarius to look at.” And they brought one. And He said to them, “Whose likeness and inscription is this?” And they said to Him, “Caesar’s.” And Jesus said to them, “Render to Caesar the things that are Caesar’s, and to God the things that are God’s” (Mark 12:14-17). “Is it lawful for us to pay taxes to Caesar, or not?” But He detected their trickery and said to them, “Show Me a denarius. Whose likeness and inscription does it have?” And they said, “Caesar’s.” And he said to them, “Then render to Caesar the things that are Caesar’s, and to God the things that are God’s.” (Luke 20:22-25). Mesha king of Moab . . . used to pay the king of Israel 100,000 lambs and the wool of 100,000 rams (2 Kings 3:4). Then Menahem exacted the money from Israel, even from all the mighty men of wealth, from each man fifty shekels of silver to pay the king of Assyria. So the king of Assyria returned and did not remain there in the land (2 Kings 15:20).
. . . [Pharaoh Neco] imposed on the land a fine of one hundred talents of silver and a talent of gold . . . so Jehoiakim gave the silver and gold to Pharaoh, but he taxed the land in order to give the money at the command of Pharaoh. He exacted the silver and gold from the people of the land, each according to his valuation, to give it to Pharaoh Neco (2 Kings 23:33, 35). I [Darius] issue a decree concerning what you are to do for these elders of Judah in the rebuilding of this house of God: the full cost is to be paid to these people from the royal treasury out of the taxes of the provinces beyond the River . . . (Ezra 6:8).
. . . the king will enrich the man who kills him [Goliath] with great riches . 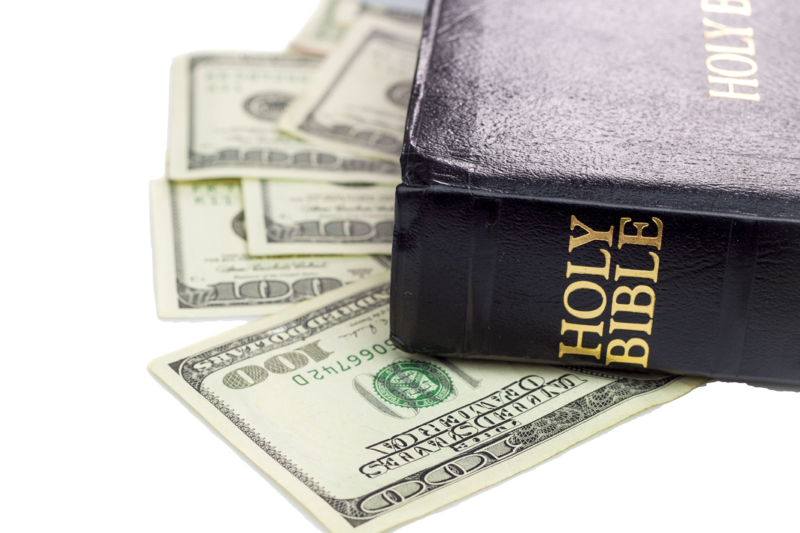 . . and make his father’s house free [of taxes] in Israel (1 Samuel 17:25).
. . . it is not allowed to impose tax, tribute or toll on any of the priests, Levites, singers, doorkeepers, Nethinim, or servants of this house of God (Ezra 7:24).
. . . those who collected the two-drachma tax came to Peter, and said, “Does your teacher not pay the two-drachma tax?” He said, “Yes.” And when he came into the house, Jesus spoke to him first, saying, “What do you think, Simon? From whom do the kings of earth collect customs or poll-tax, from their sons or from strangers?” And upon his saying, “From strangers,” Jesus said to him, “Consequently the sons are exempt. But lest we give them offense, go to the sea, and throw in a hook, and take the first fish that comes up; and when you open its mouth, you will find a stater. Take that and give it to them for you and Me.” (Matthew 17:24-27). Solomon ruled over all the kingdoms from the River to the land of the Philistines and to the border of Egypt; they brought tribute and served Solomon all the days of his life (1 Kings 4:21).
. . . Hoshea the son of Elah became king over Israel . . . Shalmaneser king of Assyria came up against him, and Hoshea became his servant and paid him tribute (2 Kings 17:1-3). So the Lord established the kingdom in his control, and all Judah brought tribute to Jehoshaphat . . . (2 Chronicles 17:5). And some of the Philistines brought gifts and silver as tribute to Jehoshaphat; the Arabians also brought him flocks, 7,700 rams and 7,700 goats (2 Chronicles 17:12). Then the king of Egypt deposed him [Joahaz] at Jerusalem, and imposed on the land a fine of one hundred talents of silver and one talent of gold (2 Chronicles 36:3).
. . . mighty kings have ruled over Jerusalem, governing all the provinces beyond the River, and that tribute, custom, and toll were paid to them . . . (Ezra 4:20). Now let it be known to the king, that if that city [Jerusalem] is rebuilt and the walls are finished, they will not pay tribute, custom, or toll, and it will damage the revenue of the kings . . . (Ezra 4:13).